AÂ REO, or Real estate owned (or commonly called Bank owned) property is one that is owned by a lender after an unsuccessful sale at a foreclosure auction. The lender will typically set the opening bid at a foreclosure auction for close to the outstanding loan amount. In todays market this price is often higher than the properties current value. 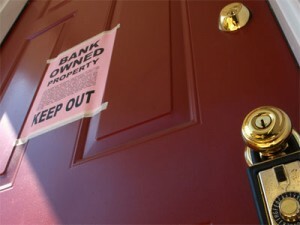 As a result, there are usually no bids at the foreclosure auction and the lender legally repossesses the property. As soon as the lender repossess the property it is listed on their books as REO and categorized as a non-performing asset. Every lender handles REO properties a little differently; but they all have the same goal: Â get the best price possible for the asset. Lenders have no interest (or incentive) to dump a bunch of cheap real estate into a given market. Although many times you can get a property that is slightly undervalued for the market its not a given that an REO will be a great deal. In fact, work with your Realtor closely to ensure you are paying a fair market value for the home – factoring in any renovation costs. And never get caught up in a bidding war type situation. REO properties that were insured by the Federal Housing Administration (FHA) are sold by the US Department of Housing and Urban Development (HUD). HUD homes are actually sold in a much different manner than most REO properties. HUD homes are sold at a blind auction where prospective owner-occupents are given a period of time to make a successful bid and then owner-investors. You can find all REO property listings in the bank owned section of my site! And if you have any questions please don’t hesitate to contact me with questions. And of course no blog post would be complete without me pushing my very informative and fun monthly newsletter!